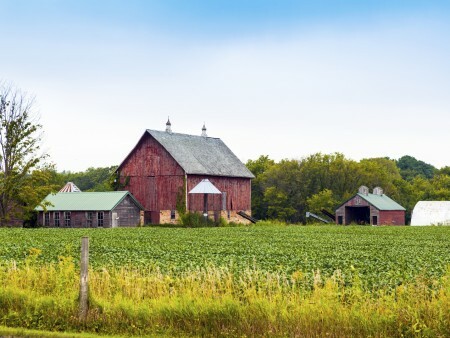 JEFFERSON, Ohio – Farmers, producers and landowners who have agricultural buildings on their property they are no longer using can turn the vacant space into extra farm income, according to experts with Ohio State University’s College of Food, Agricultural, and Environmental Sciences. Whether it is a farm building or livestock facility, farmers who want to put unused space into service to generate additional farm income first need to know how to go about creating a leasing arrangement and how to determine an appropriate rental price, said David Marrison, an Ohio State University Extension educator. OSU Extension is the outreach arm of the college. To help farmers and producers come up with fair, viable rental rates for farm buildings, the North Central Farm Management Extension Committee conducted a survey of farmers and producers across the Midwest, including Ohio and Indiana, to create the 2014 Farm Building Rental Rate Survey. The group is a partnership of extension educators from across the Midwest. OSU Extension and researchers from CFAES’s Department of Agricultural, Environmental and Development Economics participated in the survey process, Marrison said. Beef finishing, open lot and sheds. Dairy milking parlor, cow housing. Heifer housing – no labor, no feed. Swine – farrowing, nursery, finishing . Machinery storage – machine shed with or without concrete floors, high doors. Hay storage – for small square or large square or round bales. Rural housing – two, three, four or more bedrooms. The survey was completed by farm operators, farm owners, professional farm managers and rural appraisers, Marrison said. The survey worked on the assumption that the building tenants would provide labor and management and pay the cost of utilities and minor upkeep. The survey also assumed that the building owners would generally be responsible for major repairs and insurance coverage. Individual rental rates will vary according to the age, condition, size, location and efficiency of the particular building being rented, he said. “The great thing about this survey is that it’s a good document to give producers and farmers some kind of guidance to get the conversation started between themselves and a prospective tenant. The survey can be found at go.osu.edu/farmbuildingrents. For more information, contact Marrison at marrison.2@osu.edu or 440-576-9008, ext. 106.